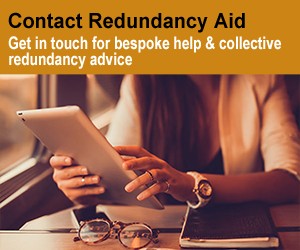 Before you are made redundant you are entitled to redundancy consultation with your employer about the reasons behind the proposed redundancy, regardless of how many people are being made redundant. 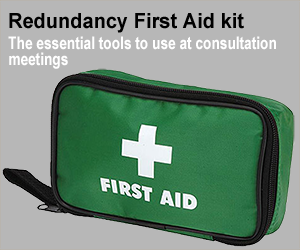 If you had no consultation in a redundancy situation, this is likely to be unlawful. If a group of people of 20 or more are being made redundant at the same time in one establishment, then there are specific processes that the consultation must follow. The election should be done fairly, with all colleagues having the opportunity to stand as a rep and vote for other reps. There are some exceptional cases where this may not happen, however only the tribunal process can decide the legitimacy of a consultation process where a company has not followed the requirements. It is recommended that any employer making redundancies follows a proper consultation process, even if under 20 employees are likely to be made redundant. It should be noted that the case before the European court of Justice (ECJ) based on the definition of an establishment, as collective redundancy consultation is defined as at one physical location, rather than one company; was lost under appeal. This means there is no statutory process for any location with under 20 employees. If you had no consultation, or it did not adhere to the minimum periods, if it wasn’t meaningful by either not being transparent, or attempting to minimise redundancies, then you have the opportunity to make a claim through an employment tribunal for a protective award.